Sierra Madre, Los Angeles County California Car Accidents Lawyers with Over 40 Years of Experience and Success Rate of More Than 95%! Sierra Madre, California car accidents can cause devastating problems for victims and their families, sometimes even fatal injuries with wrongful death claims. Sierra Madre, Los Angeles collisions cause serious injuries, substantial property damage, and sometimes even wrongful death. 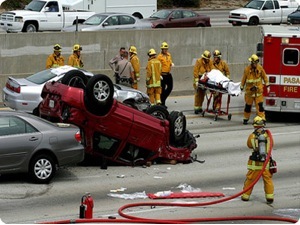 Our Sierra Madre wrongful death, car accident personal injury claims lawyers have better than a 95% success rate in handling many thousands of personal injury cases in Sierra Madre, Los Angeles, Altadena, Arcadia, Pasadena and all throughout California. With more than 40 years of experience in handling thousands and thousands of car accident, truck accident, motorcycle accident, bicycle accident and other accident injury claims, we are a father-son family group of accident claim lawyers offering our legal services for Sierra Madre, Los Angeles, and all of California. Our expert car accident injury lawyers know how to handle car accident cases, from getting damaged cars towed and repaired, totl loss car damage paid for, free rental cars, immediate medical care without payment due until your case is resolved, to maximum settlements while providing legal advice and clear explanations of the claims process all along the way. To see what other clients have said about us, we invite you to our testimonial section. There are many time rules (including the California statute of limitations) and procedural rules (e.g., in car and truck insurance policies, the California DMV, etc.) so please do not wait. Please do NOT risk making a mistake or blowing a time deadline. Please contact us now at 1.866 INJURY 2 or 818-222-3400 (after hours just dial “1”) for your FREE & CONFIDENTIAL consultation and case evaluation. Medical Care: Personal injury car accidents in Sierra Madre, Los Angeles, CA often leave victims dealing with serious injuries that require regular medical care and physical therapy attention. Our Sierra Madre attorneys and legal staff help our clients obtain medical care, including doctors, physical therapists, specialists such as orthopedic and plastic surgeons, neurologists, dentists and psychologists, usually without any payment until the claim is resolved. Moreover, clients can seek assistance for prescriptions and medication, X-Rays, including MRI and CT scans, usually with no payment due until their claim is resolved. Vehicle Repairs: Sierra Madre car collisions can cause heavy damages to cars, trucks, bicycles and motorcycles. Our Sierra Madre car accident lawyers and law offices help you with your vehicle repairs, total loss payments, storage, towing; and, when required, free car rental. Transportation to Doctor: Our Sierra Madre car accident lawyers and law offices assist clients in finding doctors, arranging appointments and, whenever required, arrange transportation for injured clients to and from the hospital, medical clinic and other doctor and physical therapy appointments. If you need any help getting to your doctor, please let us know right away. Cash Advances/Emergency Loans: Sierra Madre Los Angeles California car, truck & motorcycle accidents can exhaust your finances especially with unexpected hospital and other medical bills and added expenses to take care of at a time when you may miss out on work and suffer a loss of wages and earnings. Our experienced Sierra Madre car accident lawyers and law offices will assist you in receiving loans and advances to cover those additional expenses, as appropriate. If you or anyone you care about has been injured in a Sierra Madre, CA car accident or any motor vehicle collision, including if any family member was killed leaving a wrongful death accident claim, call us right now for your FREE & CONFIDENTIAL car accident personal injury consultation and advice. You also may imply go to our contact us form and tell us about your car accident case. You can look through our lawyer profiles and get to know our experienced and well-qualified lawyers. Furthermore, learn about the formalities, procedures, and rules associated with Sierra Madre, Los Angeles California personal injury and wrongful death claims by visiting our Car Injury Accident Web Site; and for more specific help about your very own particular car accident injury case, please call us now at 1.866 INJURY 2 or 818-222-3400 (after hours just dial “1”) for an absolutely FREE & CONFIDENTIAL consultation and evaluation of your car accident injury case. Remember, our car accident injury lawyers offer FREE legal consultations and evaluations on Sierra Madre and Los Angeles car accident claims and take our clients’ cases on a contingency fee basis, which simply means there is NO fee until you WIN! There is no reason to wait (you pay nothing now and we can help you now) – Please call or contact us today so we can start helping you today! Over a 4-decade-long continuous and excellent membership with California State Bar. Served as Chairperson of the Civil Litigation-Tort Section of Westwood Bar Association in Los Angeles. For an easy, free and confidential consultation, fill-in the details in our contact us form and fill us in on your Sierra Madre, CA car accident or any other injury claim. Sierra Madre is a beautiful city in Los Angeles County, California, whose population was 10,917 as per the 2010 census. The city is located in the foothills of the San Gabriel Valley below the southern edge of the Angeles National Forest. Sierra Madre has a total area of 2.95 square miles out of which 2.953 square miles is land and 0.004 square miles of water. Pasadena and Atladena are to its west, with Arcadia to its south and east. 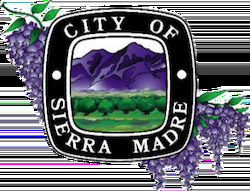 Sierra Madre is known as the Wisteria city and the seal of the city is decorated with a drawing of the now widely known 500 foot vine. 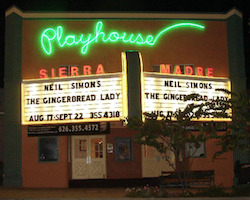 Sierra Madre is also known as the village of foothills and was named an “All-America City” in 2007. Sierra Madre is historically linked to the old mountain resorts of the San Gabriel Mountains and Valley. Sierra Madre was the last city in Los Angeles County to provide paramedic service to its residents. The Sierra Madre Fire Department provides fire protection services for the city of Sierra Madre. Downtown Sierra Madre has many small restaurants and shops. There is also a historic company that makes gourmet and specialty olives, jams, jellies and syrups (sold to the public) from its own citrus groves. 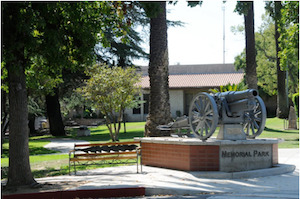 Sierra Madre hosts a locally famous Independence Day parade and three (3) days of festivities each year. Interestingly, its tradition of water-filled squirt guns during the parade has been scrapped for "confetti eggs" to throw at parade participants and viewers. Sierra Madre is also known for its annual Wistaria Festival. City of Sierra Madre offers transportation on a Gateway bus. Sierra Madre is the home of many colleges and universities, including St. Rita's Catholic Church parochial school and a few more. Sierra Madre is and has been home to many famous people over the years including Louise Gunning, Alan Wood, Gutzon Borglum and others. As you see, we offer an absolutely FREE & CONFIDENTIAL consultation AND there is NO fee unless & until you win. We work on a contingency fee for our services on injury accident cases, which means there is NO FEE until You WIN, so you do not need worry about money! There are many procedural rules and time deadlines so please do not wait! Please call us now at 1.866 INJURY 2 or 818-222-3400 (after hours, dial “1”) or contact us now – You will be really glad that you did!